I brought up crossbody bags in last weeks Friday favorites post, but my obsession lately has led to a post dedicated simply to crossbodies. I just love the convenience of them! When you're spending a day running errands or just doing a lot of walking around, you don't want to be carrying around a huge purse--at least I don't. Crossbodies are small and out of the way, but could also be the perfect finishing touch for a look. 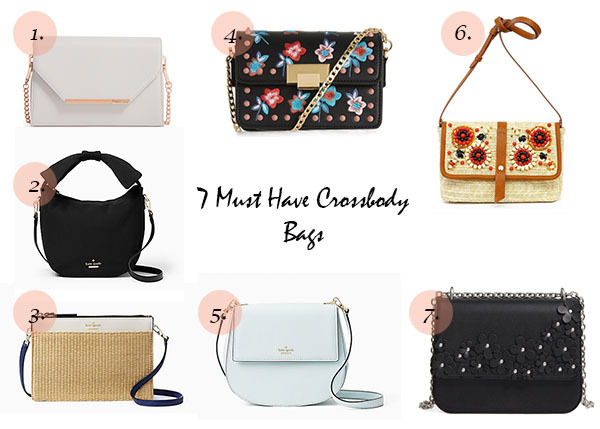 With that being said, I rounded up seven of my favorite crossbodies to share with you all. Enjoy!